To launch SAAM, NJCASA’s Executive Director, Patricia Teffenhart, challenged us to make SAAM about more than slogans and ribbons. 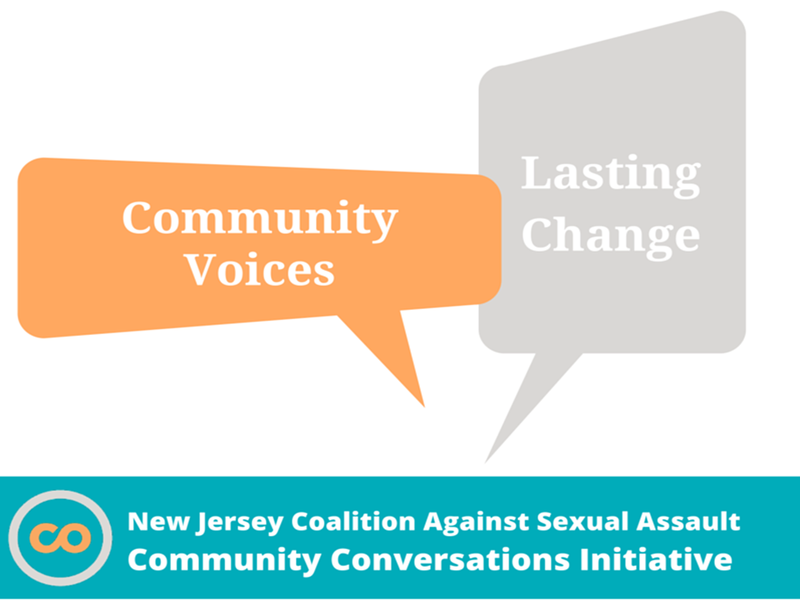 The projects and activities covered in this wrap-up reveal the scope of NJCASA’s efforts to ensure the impact of sexual assault is remembered beyond April. As we bring SAAM to a close, we hope you join us this Saturday, May 7th for our 6th Annual SAAM 5K. Our annual 5K offers a time to bring communities together and contribute to vital services for survivors and organizations. We kicked off the month by announcing our 2016 Social Media Ambassadors, which aims to expand partnerships with well-connected social media activists. 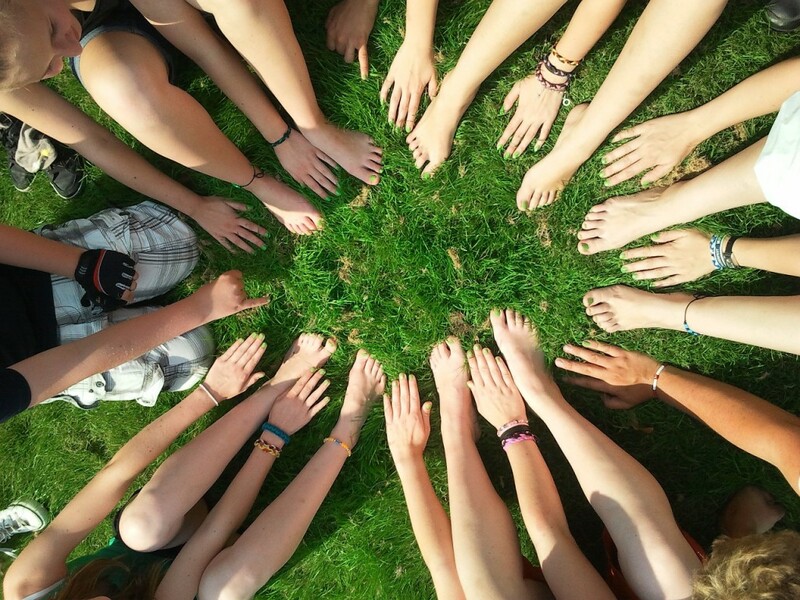 This volunteer program ensures that communities will be engaged in conversations about sexual violence beyond April. Follow their social media accounts and take a look at the conversations by searching for #njcasaSMA on Twitter and our recently launched Instagram. Throughout the entire month, NJCASA released spotlight blogs that highlighted the work of the staff members as well as guest blogs by program members that featured prevention work being done across the state. Search the SAAM tag to see all the contributing pieces. 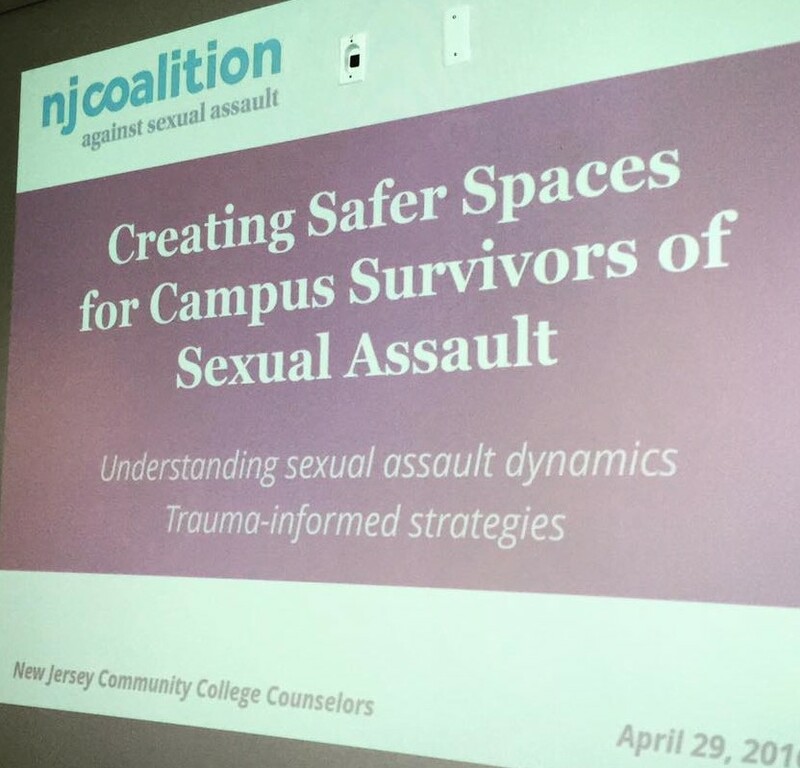 NJCASA staff participated in a number of events and facilitated important conversations across the state during the month of April to increase our collaborations with community members. Presentations covered topics such as media literacy, services for underserved or marginalized communities, and the intersections of campus sexual assault and Title IX. 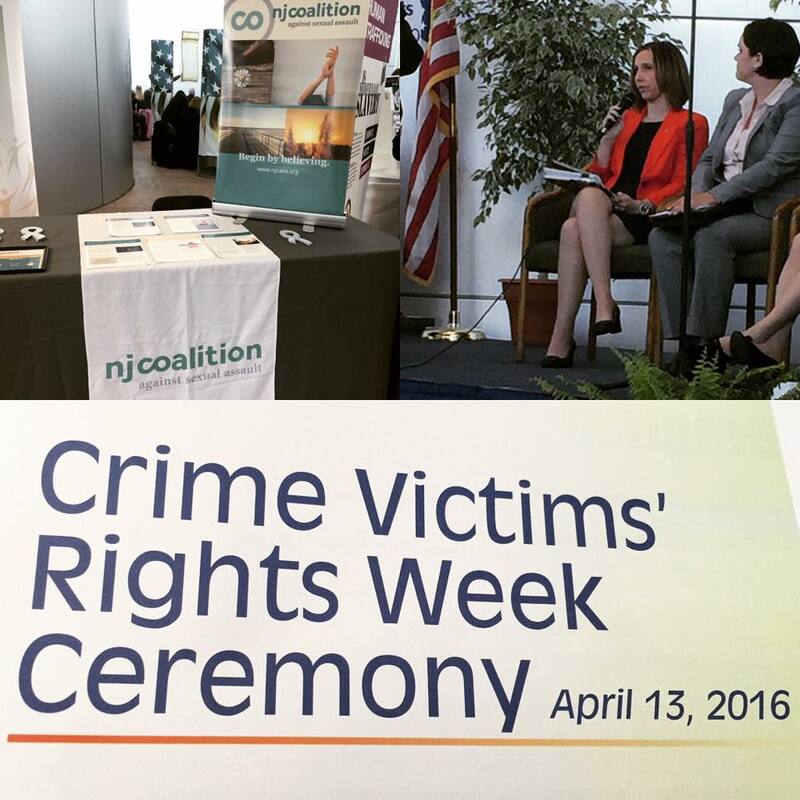 On April 13th, NJCASA participated in the 2016 Crime Victims’ Rights Week Ceremony, sponsored by the NJ Office of the Attorney General, NJ Division of Criminal Justice, State Office of Victim Witness Advocacy, and Victims of Crime Compensation Office. The 2016 theme focused on men as survivors of crime with Executive Director Patricia Teffenhart as a panelist on this topic during the ceremony. On April 19th, NJCASA’s Statewide Capacity Manager attended the launch of YWCA Bergen County’s healingSPACE mobile application. This app is one of New Jersey’s first and only mobile applications to connect users directly to a county-based sexual violence resource center. 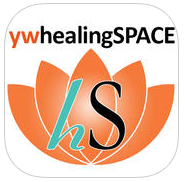 The app is called “healingspace” and is available for iOS and Android/Google phones. 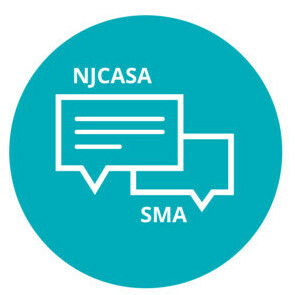 On April 19th, NJCASA’s Special Initiatives Manager hosted new stakeholders through the Community Conversations Project—a listening initiative focused on documenting the needs from New Jersey’s diverse communities in their own words. The day-long convening touched upon emerging needs, barriers and challenges faced, and portraits of strengths seen within diverse communities. Collaboration across movements, prevention to end violence, and training to promote cultural humility were a few of the shared themes that emerged from the day’s conversation. 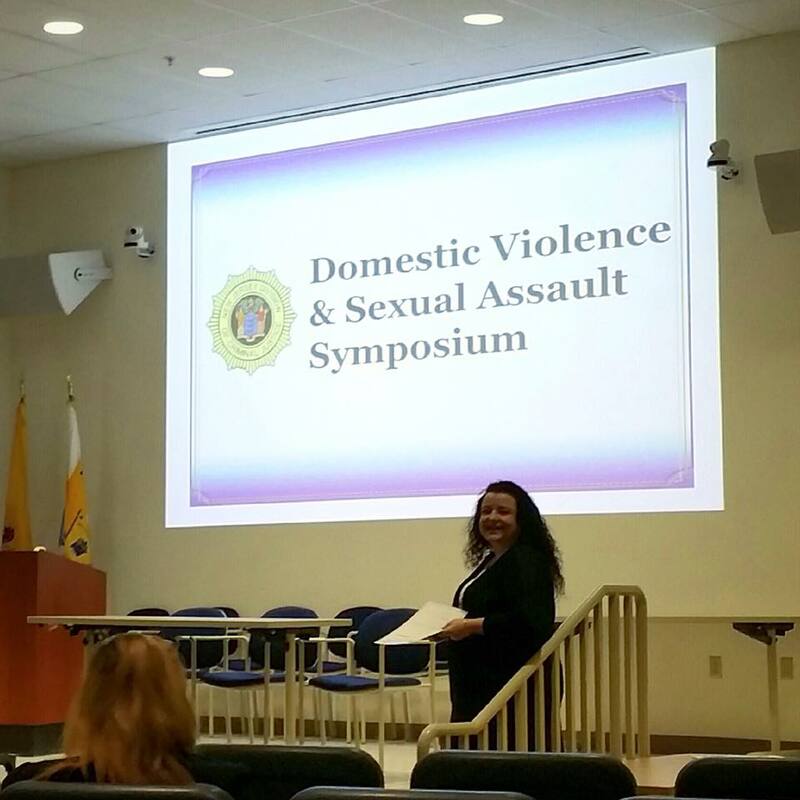 On April 26th, NJCASA’s Executive Director and Training & Outreach Coordinator attended and presented at the Annual NJ Statewide Domestic Violence & Sexual Assault Symposium organized by the New Jersey Division of Criminal Justice Prosecutors Supervision & Training Bureau. The presentation focused on the recently-updated Confidential Sexual Violence Advocate (CSVA) manual for New Jersey programs and the intricate work that goes into training advocates across the state. During SAAM, and every day, we thank you. Thank you to the service providers that operate as the front-line support for survivors and their families. Thank you to our colleagues in allied professions who work with us as we strengthen the multidisciplinary response to sexual violence in our communities. Thank you to the donors who provide the critical funding necessary for us to do this important work. And mostly, thank you to the survivors who trust us, inspire us, and remind us of what is truly important.